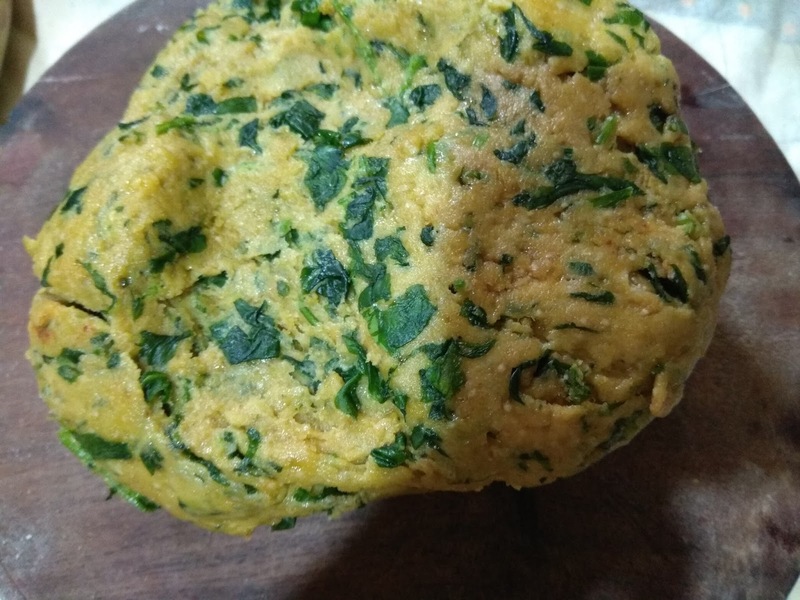 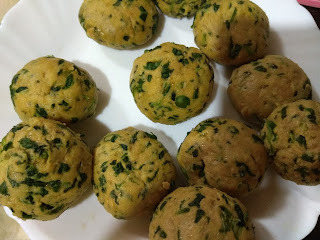 If I have methi leavs (fenugreek leaves ) I have enough and more options for preparing.The methi is a very healthy food too apart from being a good fibre ,it has medicinal benefits too.It is diabetic friendly.Then the flavour,the earthen aroma of the leaves when fried is something most of us love. Methi is essentially a winter veggie,though these days it can be seen year round. 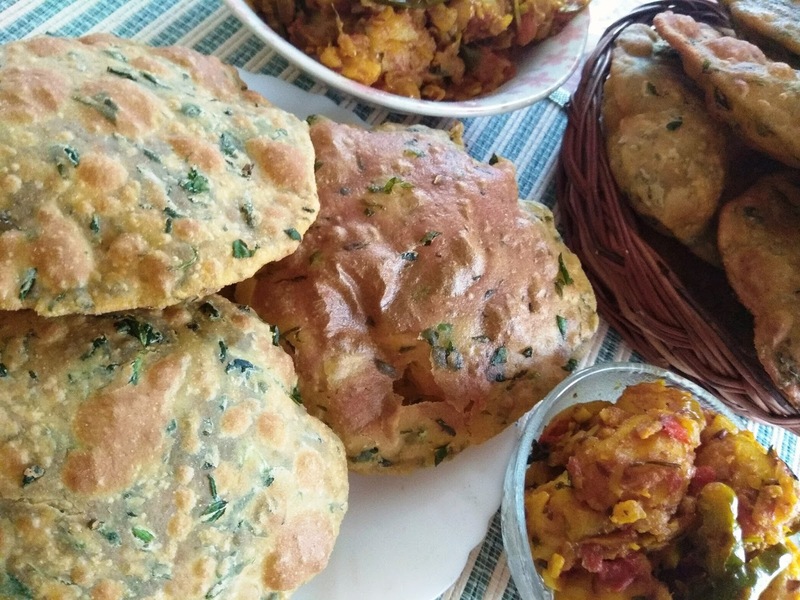 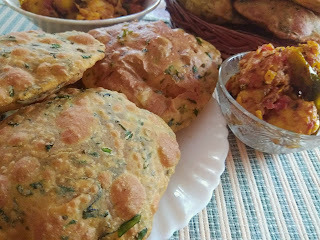 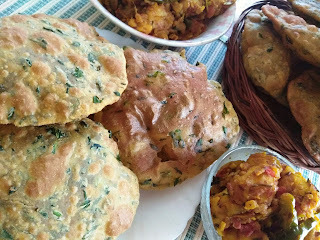 Though I try avoiding deep fried food ,I make the methi poori (puffed unleavened bread)at least once a year. 1-Take the washed and cut methi leaves in a large bowl and mix one teaspoon of salt to it.